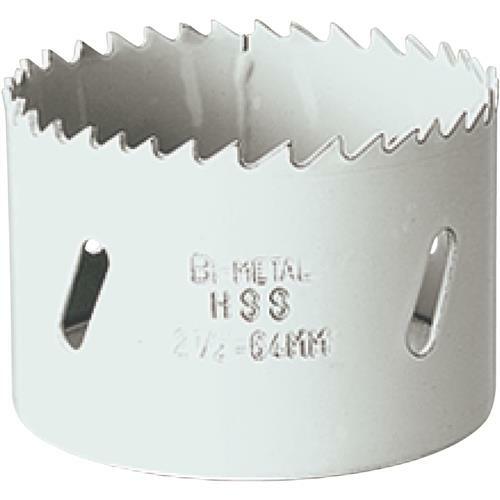 Bi-Metal Hole Saws stay sharper longer than carbon steel hole saws, and since they have tough high speed steel alloy cutting teeth bonded to a welded steel body, they cut through wood, metal and plastics with ease. Always in demand. This size is popular with carpenters, plumbers, electricians and home do-it-yourselfers. Arbors sold separately.